20 Buck Spin is one of the well-known underground record labels that has a big potential to grow in the future. This label has been signing up a number of accomplished bands, in 2017 and 2018 20 Buck Spin has released some of the best records which appeared on my year’s top list. Following the same year on December 20 Bucks Spin begun to promote another band from U.S.A. Portland that makes its first entry to the expanding realm of death metal. 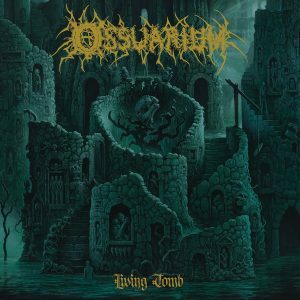 With such a great debut album entitled Living Tomb, Ossuarium flicks up the dust and rises from the catacomb of the dead. The quartet of death/doom maniacs offers some fresh and nifty riffs that will make you hair stand up straight. This debut has similar qualities to bands such as Hooded Menace, and Decomposed, but these common qualities makes Ossuarium stand as one of the original and creative acts. All you’ll hear here is deep guttural growls churned amid creepy riffs, it all builds up slowly but don’t get me wrong this isn’t a funeral death doom band at all. Ossuarium evokes crispy tremolo riffs and pulsating bass guitar, the band understands how to craft their music. Living Tomb is an album crammed with twisted ideas and startling ingredients. 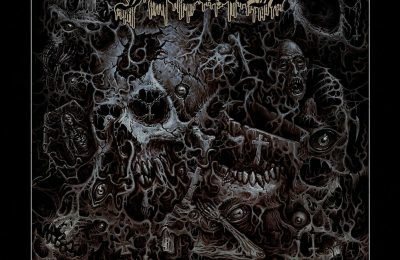 Fans of old school death metal will be pleased with this record, and I say this because the band is un-comparable. Darkness sweeps over this debut and this is due to the unchangeable and the harrowing passages. Blaze of Bodies begins with a slow pacing death doom and it has a strong influence to the early Paradise Lost. The sick deep growls of the vocalist Daniel Kelly are horrifying and they are captured with significance. The drums are propelled with intense double bass with the crushing doomful riffs that are strummed like heavy tides. Vomiting Black Death is formulated with the awe-inspiring riffs of death/doom metal. The track begins slowly with the crushing riffs, while the rhythm guitars delivers some depth to the sonic experience. This track finds some groove which are handled by excellent guitar techniques. Corrosive Hallucinations is a showcase of heavy crushing riffs and pummeling drum work. The intricate guitar performance are quite astonishing giving it a great aural sensation. Writhing in Emptiness kicks off with solid heaviness this is another track where Ossuarium retains excessively with great weight. Living Tomb is a gigantic album laden with thick guitar distortion, the sound quality is crystal clear as each and every instrument is audible. But despite all this the tracks are accessible and drags you down into the murky swamps and suffocates you with its putrid atmosphere. As mentioned above the guitar performance is absolutely amazing, the drums on other side function as the dynamic core. End of Life Dreams and Visions Pt. I prove that the band can write excellent tracks, this is one of their potent songs, though Ossuarium still manages to make their album sound heavily ridden with death doom metal. Living Tomb is fused with the morbidity of atmospheric doom , it’s a record that has its own finger prints and traits which are far from the modern cliché. End of Life Dreams and Visions Pt. II, is an overwhelming tune featuring some of the sophisticated guitar work that you won’t hear in many death/doom metal bands. Imagine those harrowing deep growls echoing from distance, with slow crawling menacing institutional riffs of death/doom. Excellent riffs that churns up a bleak and freighting atmosphere, blended with pulverizing drum beats. Every pattern from the drums and the guitar have been concluded masterfully, the melodies are planted subtly but you need to hear them out. With many choices when it comes to this type of crushing metal, Living Tomb is an album that lives up to the hype. 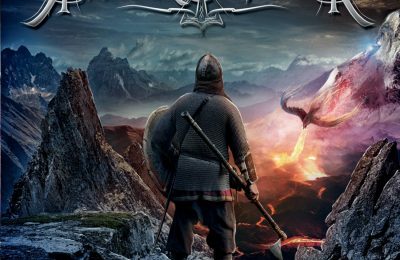 And can surely withstand the erosion of time and space, I would proudly place this album right beside Disma’s debut album “Towards the Megalith”. This band has skillfully crafted an excellent record, Living Tomb was recorded at Ear Hammer Studios where bands like Undergang, Ulthar and Vastum got the best sounding results. 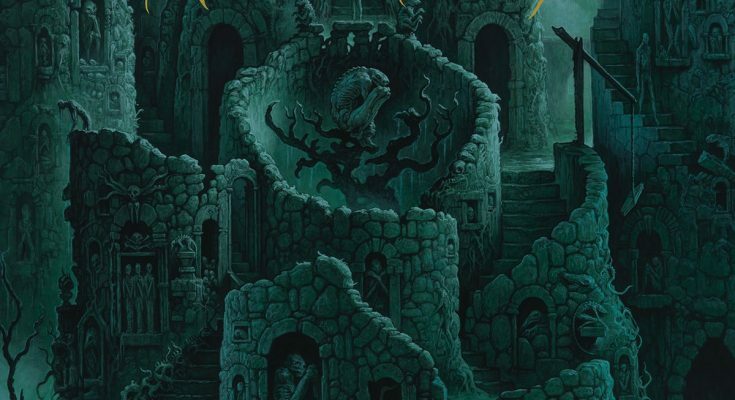 Again the cover art was designed by the legendary British artist Dan Seagrave. It seems that 2019 will be another busy year for this label promising to make some big releases by bands such as Tomb Mold, Superstition, Witch Vomit with many more surprises so let’s wait and see. 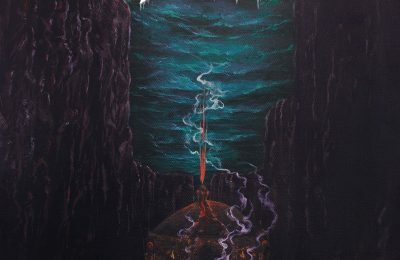 Ossuarium's debut "Living Tomb" is old school death metal fused with the morbidity of atmospheric doom metal, it’s a record that has its own finger prints and traits which are far from the modern cliché.